You also know that they have the highest loyalty of any half-ton pickup. RAM is more than a truck: it’s a lifestyle. To become a part of the RAM life, you need to pick all the qualities to the truck that would meet all your needs. The most important detail to figure out with your new RAM 1500 near Manchester is what type of cab you need. For the RAM 1500, you can find the cabs in three options: Regular Cab, Crew Cab, and Quad Cab. If you need your cab specific to your lifestyle, then it’s best to choose between Crew Cab and Quad Cab. How can you be sure which one you need? We broke down the differences between the two below so it will be an easier decision when you come to Contemporary Automotive. No matter which RAM cab you pick, you are guaranteed a durable and powerful truck. With the ability to reach up to 395 horsepower and 420 lb-ft of torque, these rides will not slow down for anything. This is especially true when you’re towing up to 10,690 lbs and supporting a payload of 1,880 lbs, your 1500 will not quit. If you prefer the Quad Cab or the Crew Cab, our finance department near Nashua will work with customers to score them a great payment plan for their new beast! Overall, the two cabs share a lot of similarities. For example, you can find the same bed lengths and seating up to six passengers.  If you are still unsure which ride you need, come down to Contemporary Automotive where we can help you decide. The Crew Cab provides up to six-passenger seating for maximized comfort and capacity. You’ll find optimal legroom and interior volume. If you’re hauling guys to the job site or for the night on the town, the Crew Cab is your best option. In regards to beds length, the Crew Cab has a couple of choices in store: 5’7″ and 6’4″. Quad Cab is another fine choice if you need cargo room. However, its numbers are slightly under the Crew Cab. The Quad Cab does step up its game in regards to convenience. This RAM 1500 features reverse rear door hinges, making it easier to load and unload because of the wider opening. So if you need a truck that makes the job sites a bit easier, then the Quad Cab is the way to go.